Age and how it may change your Cat – As cats get older, their bodies begin to change. This can be a sad sight for us humans, particularly as it happens in such a short space of time. It is worth making oneself aware of the possible effects aging may have on a cat, in order that these effects can be anticipated and with the right action, guarded against. With that in mind and as part of Senior Pet Month, here are some of the problems which cats may face in their twilight years. Some cats are more talkative than others. Equally, some cats begin to grow more talkative as they get older. There are a few reasons that this might happen. It could be that it is hungry; it could be the cat is looking for affection; it could be that the cat is in pain. Older cats are, generally speaking, more vulnerable to conditions that might cause them pain; yowling is often the first sign that one of these conditions might be affecting a cat. For example, many older cats suffer from osteoarthritis – a debilitating condition in which the cartilage surrounding a cat’s joints wears away, allowing bone to rub painfully against bone. This is a source of great discomfort to the cat, and can progress quickly and irreversibly if not checked. If you notice that your cat is growing more vocal, then it is often wise to take it to see the vet sooner rather than later, so that the precise cause can be pinpointed. If the physical examination does not reveal any such condition, other forms of malady might still be at fault. A cat’s increasing propensity toward conversation can be explained, for instance, by a decline in its cognitive faculties. See our recent post on how to read your cats body language. As a cat grows older, its ability to perceive the world around it begins to deteriorate; the most obvious case being cats which become progressively more blind, deaf or both. Sometimes, a cat’s ability to make sense of the world around it begins to deteriorate, too and this is evidenced by an appearance of being slightly befuddled. Feline Cognitive Decline, or FCD, is an ailment common among cats of a certain age. It is broadly similar to dementia in humans – your cat may wander back and forth, as though searching for something it can’t quite place. This can be slightly alarming for cat owners. Unfortunately, there is no cure for FCD – its symptoms can, however, be managed. Try as best you can to pay your cat attention if it seems a little lost. Try to keep a strict schedule, so that your cat has a sense of order in its day and can orient itself properly. Try as much as possible to avoid severe disruption – if you have to go away, then try to keep your absences as brief as possible and to allow your cat to stay in your house. Unlike its canine counterpart, an old cat is unlikely to eat or destroy your property if left alone – they are likely to feel distressed, however and so ensure that they are looked after well, preferably by a person with whom they are familiar. If the symptoms of this cognitive decline become particularly severe, then a vet, or a behavioural therapist, will be able to offer advice on possible next steps. One of the most obvious changes in a cat is that they become more restless during the night. The precise cause of problem can vary, but more often than not it is caused by a deterioration in the cat’s senses and the onset of FCD. Sometimes a cat may have trouble soiling itself during the night-time – either because of anxiety, or because it cannot find its litter tray. You may wish to allow the cat to sleep in the same room as you, as this may help to reassure it. Perhaps the strangest change in a cat occurs where its sleeping patterns begin to reverse. It may become nocturnal where it was once diurnal, or vice versa. This can become a problem for light sleepers – particularly if the cat is moving around a great deal. Fortunately, older cats will be less inclined to do this. That said, if this behaviour becomes a problem, cat owners might consider a sedative during the night, and more frequent exercise during the day – your doctor will be able to help with the former, the latter may be more of a struggle. Some of the aforementioned problems can fall under the broader umbrella of toilet problems. Many cats, during their later years, take to relieving themselves in areas where perhaps they shouldn’t. Needless to say, this is not done out of malice, but out of an inability to get to the litter tray. This could be due to several factors. The cat may not be able to move quickly enough. It may be having difficulty controlling its bladder. It may be suffering from more serious problems like kidney disease and urinary tract infection. If your cat begins to behave in this way, take it to the vet so that medical issues can be ruled out. Once this is done, you can begin to take steps to make it easier for your cat to get to the litter tray – perhaps you can even buy multiple trays and have them spaced around the house. As well as affecting a cat’s mental state, old age can also cause it to become emotionally distressed. Often, these two go hand-in-hand; a cat who is often confused may become often afraid, as well. It is therefore important to look out for both sorts of change. Often, a cat’s emotional attitude toward you will change as it ages. It may become aloof where it was previously very clingy; on the other hand, it may become clingy were it was previously fiercely independent. If your cat begins to follow you around the house, mewling pathetically and clinging to your feet, then try not to be too alarmed. There is nothing inherently wrong with these behaviours – cats simply react to their changing bodies in different ways. An older cat may become apathetic – though apathy may also be a symptom of another illness. Be sure to check the eyes in order to see that the third eyelid – the one in the corner of a cat’s eye – is not showing. A lack of enthusiasm can also be a symptom of osteoarthritis – a cat whose every movement results in pain will not show much inclination toward moving. You should also be on the lookout for other symptoms. Arthritic cats will shy away from staircases, and be irritable when touched. They may also stop eating. 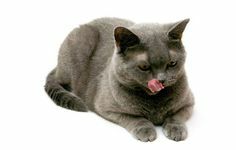 If your cat’s appetite suddenly grinds to a halt, then it should be taken to a vet as quickly as possible. Not eating can quickly be fatal, as it can lead to fatty liver disease. Older cats also tend to become more irritable – in much the same way as older humans do. There are a few probably causes for this change. The most obvious stems from the deterioration in the senses. While some cats react to this deterioration with apprehension and even fear, some can react by becoming grumpy. This is understandable; as a cat’s senses become dulled, it might become more easily startled and therefore more easily irritated. 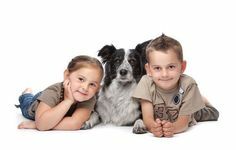 Another probable cause stems from an older cat’s diminished ability to participate in family life. This, too, is understandable; if a cat once enjoyed running around and boisterously playing with other cats and humans alike and can no longer do so, it seems plausible that it would begin to resent the fact. If you feel that this is the case, then try to involve the cat as much as possible by picking it up and having it sit on your lap. If your cat is unwilling to be handled and picking them up makes it even worse, then the likely cause is arthritis – the cat should be taken to a vet so that the condition can be examined. In some cats, this can lead to aggression. If you consider things from the cat’s perspective, this behaviour is easily understood; after all, it is easy for something startling to become something scary and it is easy to react to something scary with anger. In the vast majority of cases, an angry cat can be managed with just a few changes in how the cat is approached. Try gradually increasing the volume of your voice as you approach the cat, so that as not to take it by surprise. In extreme cases – particularly those in which the cat becomes violent – extreme measures may be called for. 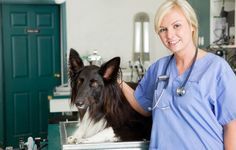 Your vet might suggest that you use controlled pheromones in order to placate the animal – though this option should only really be entertained if all others (including inaction) have been exhausted. While some of these symptoms may seem severe – and some even alarming – there is no reason that, with the proper diligence and management on the part of its owners, a cat cannot enjoy a comfortable quality of life, even as that life enters its final act.